Scheana Marie is apparently back on the market, as her boyfriend Robert Valletta just announced their split on social media. Robert revealed that he and the Vanderpump Rules star broke up when replying to one of his Instagram followers on Tuesday, October 17. When a fan asked the model where his beautiful girlfriend was, Robert replied in a since-deleted post, "Sadly we broke up, we are still amazing friends and we adore each other. We will see what happens." According to a source close to the former couple, "They broke up in August but are still good friends," Entertainment Tonight reported. "They hang out often but needed to take a step back from dating exclusively." Robert and the Bravo star reportedly had a tough time making their relationship work due to their hectic schedules and blossoming careers. "He's been in San Francisco recently working on a new project and she's gearing up to promote the sixth season of Vanderpump Rules," the ET source explained. "The timing right now wasn't good for them." 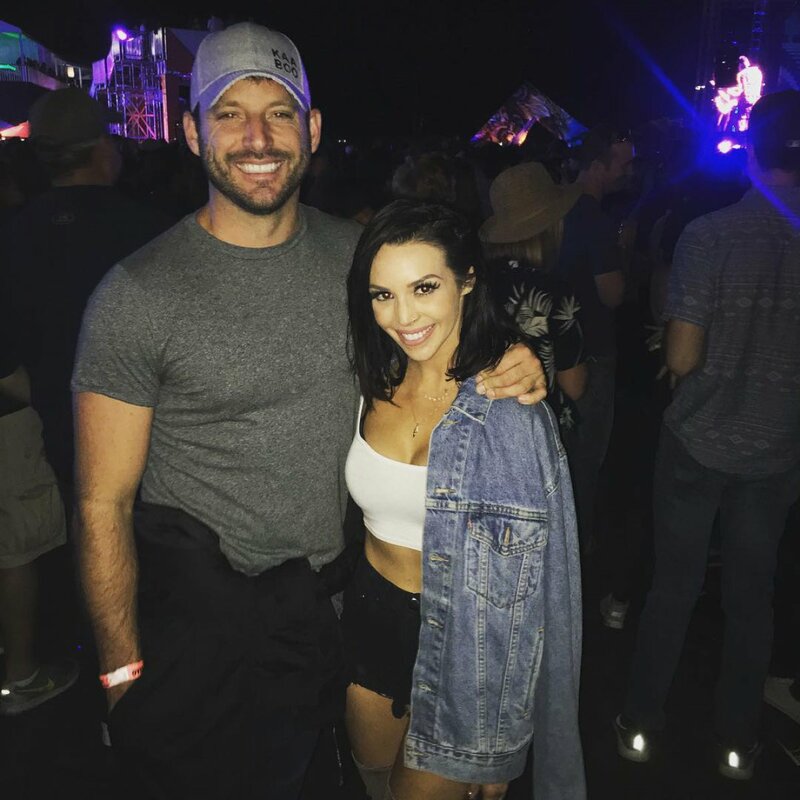 But there appears to be hope for reconciliation, as the state of Scheana and Robert's relationship is widely reported to be friendly and "complicated." The pair reportedly began dating in January 2017 but were first spotted in public as a romantic couple in February at an OK! magazine party in West Hollywood, CA. Scheana also revealed she had a new man in her life during an episode of Watch What Happens Live with Andy Cohen. Scheana and Robert then made their relationship Instagram official in March by sharing a photo of date night at the Los Angeles premiere of Power Rangers. That same month, Scheana gushed to Us Weekly of Robert, "He's a really great guy. We met 10 years ago -- he was working the door at a club I used to go to all the time. He asked me out and I said no, and then eventually I said yes. Timing didn't work out, but we're giving it a shot. We'll see. We're taking things very slow." Scheana filed for divorce from her ex-husband, Mike Shay, in November 2016 after more than two years of marriage. They reached a divorce settlement in May 2017. Vanderpump Rules premiered on Bravo in January 2013, and its fifth season just wrapped in April of this year.